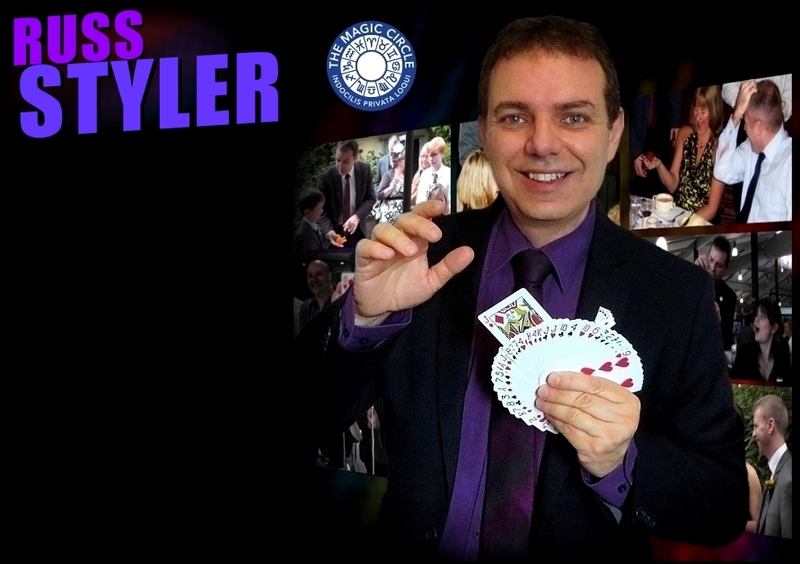 Russ Styler's combination of amazing sleight-of-hand magic and humour continues to make Russ a most popular choice of magician for events in Lichfield such as weddings, dinner parties, corporate functions, birthday party celebrations and most other events and occasions. 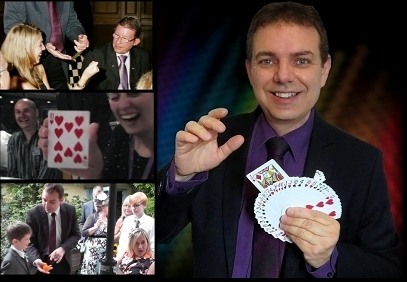 As a professional magician for more than 20 years, Russ has performed at countless venues including hotels, manor houses, restaurants, golf clubs, rugby clubs, village halls, bars, private residences - you name it! 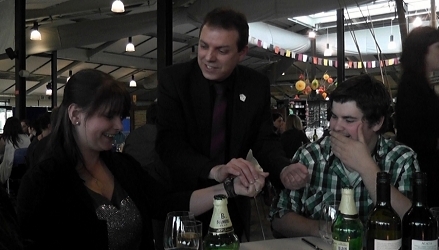 Russ has always worked summer seasons both in the UK and abroad and is a member of the Magic Circle, The International Brotherhood of magicians and Equity. For more information check out the other pages and the F.A.Q's or contact Russ now for a quote for your event in Lichfield, or wherever you are! 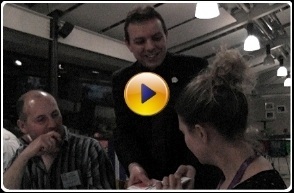 Russ has always worked summer seasons both in the UK and abroad and is a member of the Magic Circle, The International Brotherhood of magicians and Equity. For more information check out the other pages and the F.A.Q's or contact Russ now for a quote for your event in Lichfield, or wherever you are! Magician for hire - Lichfield. Close Up Magician / table magician or shows. In addition to weddings, corporate events, adult birthdays, Russ is also available for anniversary parties, summer fete's / balls, cocktail parties in Lichfield, Staffordshire, including Burntwood, Rugeley, Hednesford, Cannock, Penkridge and further afield. Contact for cost / prices for your event or party.